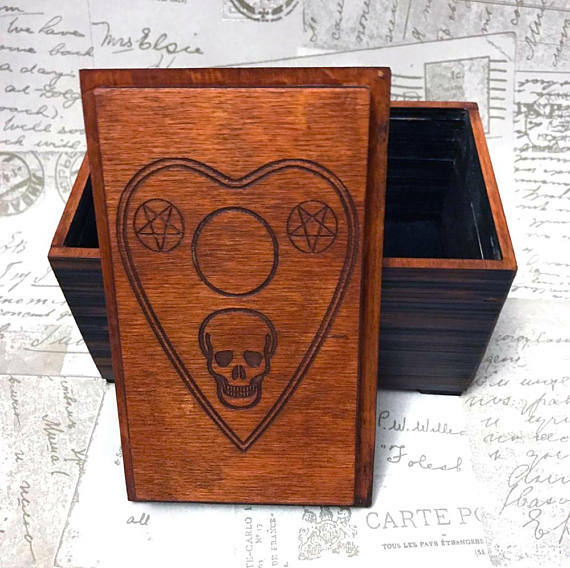 This unique, made to order, trinket box features a Ouija board motif engraved into the top of the lid, the underside of the lid has a planchette engraved on it and the feet are decorated with skulls. 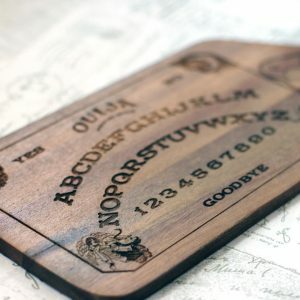 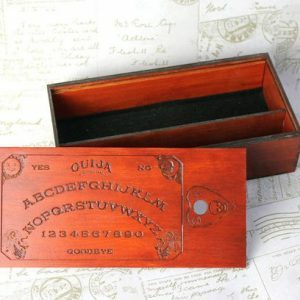 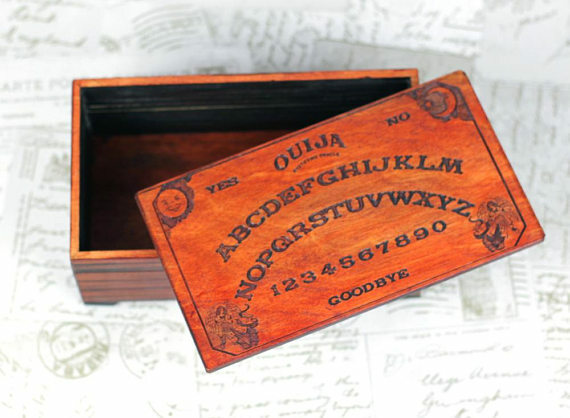 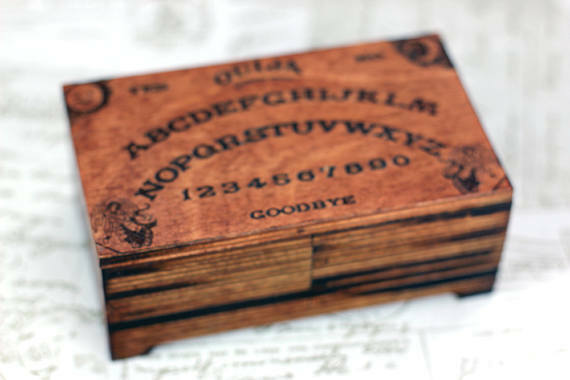 This unique, made to order, box features a Ouija board motif engraved into the top of the lid, the underside of the lid has a planchette engraved on it and the feet are decorated with skulls. 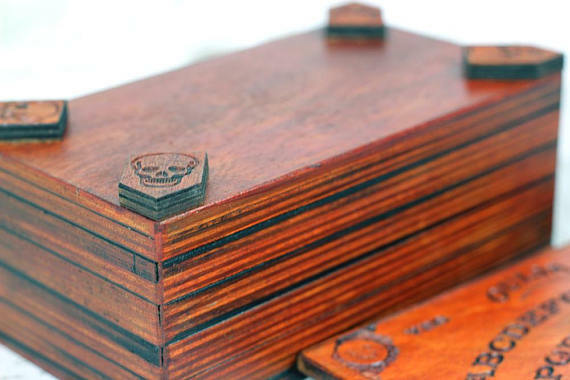 The box is constructed from layers of wood built up to produce a unique effect and stained to a dark colour. 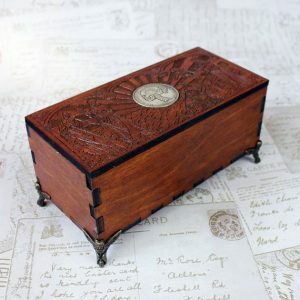 The bottom of the box is lined in felt to protect your valuables and the internal walls are dark and have a ridged texture.